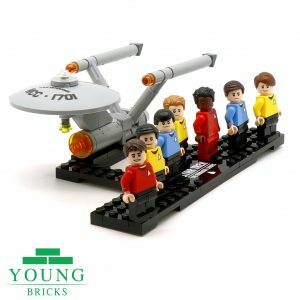 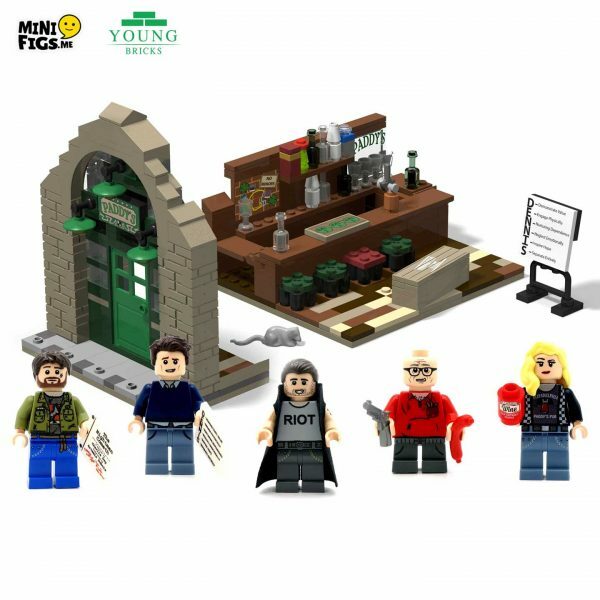 “Meet at later bar, day or night sometime.” The Gang goes Lego! 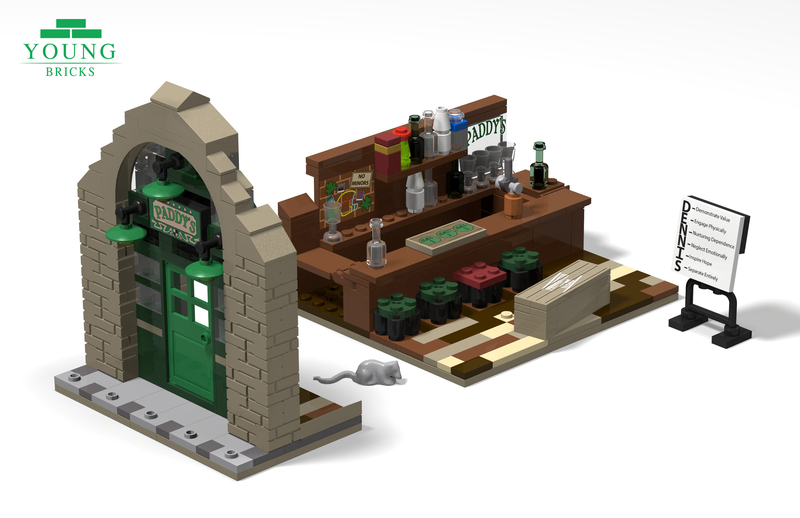 Based on Paddy’s Pub from the excellent show It’s Always Sunny in Philadelphia, this model is made using 100% genuine lego pieces (440 of them!). 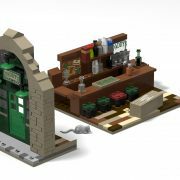 The bar and pub front (measuring 192 mm by 112 mm in total) are available together or separately. Unique custom printing is featured through the Dennis System, the Paddy’s Pub sign and the CharDee MacDennis game board, as well as various other easter eggs. 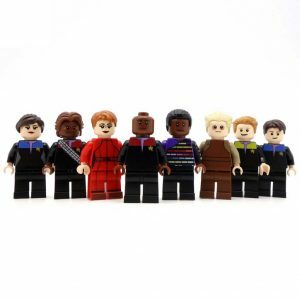 Custom printed minifigures of the gang are also available courtesy of the experts at Minifigs.me.